we ought to take these lots more seriously, architecturally. Many architects and urban planners don’t. Beyond greener designs and the occasional celebrity-architect garage, we need to think more about these lots as public spaces, as part of the infrastructure of our streets and sidewalks, places for various activities that may change and evolve, because not all good architecture is permanent. Hundreds of lots already are taken over by farmers’ markets, street-hockey games, teenage partiers and church services. We need to recognize and encourage diversity. This is the idea behind Parking Day, a global event, around since 2005, that invites anybody and everybody to transform metered lots. Each year participants have adapted hundreds of them in dozens of countries, setting up temporary health clinics and bike-repair shops, having seminars and weddings. 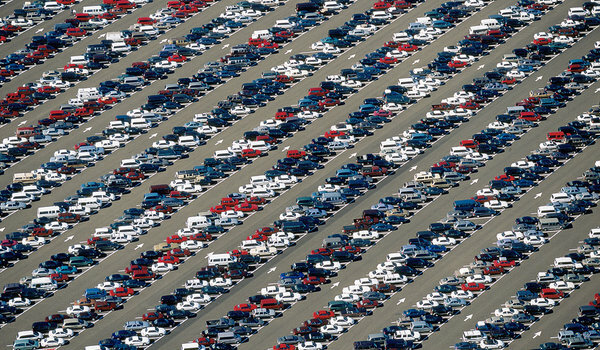 There are an estimated 600,000,000 passenger cars in the world, and that number is increasing every day. So too is Earth’s supply of parking spaces. In some cities, parking lots cover more than one-third of the metropolitan footprint. It’s official: we have paved paradise and put up a parking lot. In ReThinking a Lot, Eran Ben-Joseph shares a different vision for parking’s future. Parking lots, he writes, are ripe for transformation. After all, as he points out, their design and function has not been rethought since the 1950s. 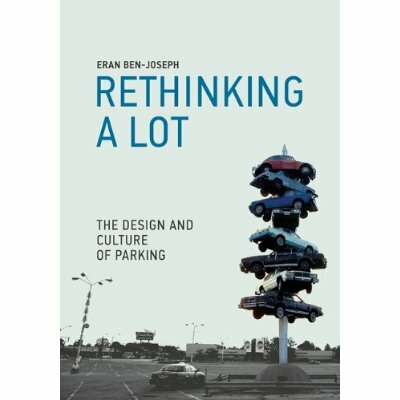 With this book, Ben-Joseph pushes the parking lot into the twenty-first century. Can’t parking lots be aesthetically pleasing, environmentally and architecturally responsible? Used for something other than car storage? Ben-Joseph shows us that they can. He provides a visual history of this often ignored urban space, introducing us to some of the many alternative and nonparking purposes that parking lots have served–from RV campgrounds to stages for “Shakespeare in the Parking Lot.” He shows us parking lots that are not concrete wastelands but lushly planted with trees and flowers and beautifully integrated with the rest of the built environment. With purposeful design, Ben-Joseph argues, parking lots could be significant public places, contributing as much to their communities as great boulevards, parks, or plazas. For all the acreage they cover, parking lots have received scant attention. It’s time to change that; it’s time to rethink the lot.